Two recent books to share. Seveneves by Neal Stephenson. This one was another recommended book by Bill Gates. 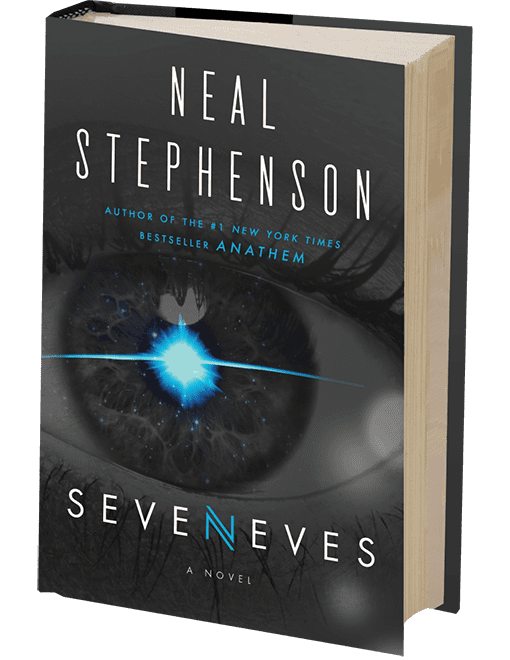 I find that Bill’s recommendations can be pretty complex, and Seveneves is no exception. It’s a long one. I got into it without knowing too much about it other than the moon blows up. I figured it was going to be about the panic on earth as the various impacts are discovered (look ma no tides). But I was wrong. I was surprised that the vast majority of the book takes place on the ISS (International Space Station). I’d say its equal parts science and fiction — though the story is really about the human condition. We really are silly creatures. The title makes sense eventually. I do recommend this book, so won’t say much about it other than it’s complex, very long, and I already miss it. It does stick with you – I see aspects everywhere. Switch: How to Change Things When Change is Hard by Chip Heath. This is part motivational/self-help and part psychology book. The book presents two sides to human nature: the emotional/irrational side (the elephant) and the analytical/rational side (the elephant rider). A powerful force is created when the rider and elephant work together. The book provides a number of tips to harness the power of the elephant for positive rational goals. It’s a fun metaphor, or at least was at first. I recommend the book if you are looking for some motivational tips. It is not a business book about driving change.